Bristol-based 4-piece band Make Friends make their way into the music scene with the release of their debut single Drop Naked, out now via Funnel Music. 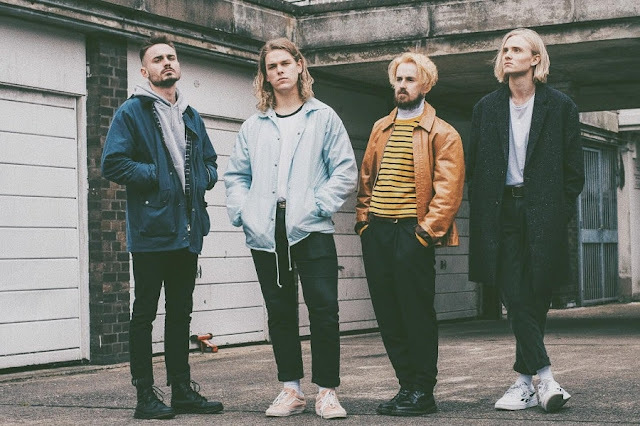 The guys create a cool indie-pop sound laced with infectious grooves and with vibes of Foals, Virginia Wing and Bombay Bicycle Club and Drop Naked is quite a great example of it. I am really enjoying the guitar melodies and the overall laidback atmosphere of the song which is definitely a perfect track for the festival season this summer. Stream it below! The lyrics center around themes of being emotionally unfaithful, maybe there’s someone who catches your eye and you attempt to pursue something even when you know it’s wrong and unfair. We wanted the music to sound uplifting in strong contrast to the darker subject matter. Recorded at Geoff Barrow's Invada Studios, Bristol with acclaimed Everything Everything keys player and producer Pete Sené, Drop Naked is the first track to come off their forthcoming debut EP set for release this Spring.